You know it’s much more important what you think as a parent than what you think as a public official. And that’s what we do. But I also understand that parents need to have some measure of choice in things as well, so that’s the balance that the government has to decide. We sometimes give five or six vaccines all at one time [Paul said of immunizations of newborns for Hepatitis B] I chose to have mine delayed….Do I think it’s ultimately a good idea? Yeah. So I had mine staggered over several months. I’ve heard of many tragic cases of walking, talking, normal children, who wound up with profound mental disorders after vaccines. I’m not arguing that vaccines are a bad idea, I think they’re a good thing. But I think parents should have some input. The state doesn’t own your children, parents own their children, and it is an issue of freedom. What do Christie and Paul mean when they say “freedom”? They mean the ability to make a consumer decision in a market-based economy. They mean consumer choice. Rand Paul, following the beliefs of Ayn Rand, literally believes that consumer choice, and selfish consumer choice alone, leads to an optimal society. Freedom, to me, means something very different. Freedom to me looks more like “life, liberty, and the pursuit of happiness”. The freedom I believe in isn’t so much consumer choices and marketplace decisions as it is having the ability and resources to pursue our hopes and dreams. This is why I believe vaccinations are about freedom. The freedom not to get polio. Or diptheria. Or measles. Or mumps. Or smallpox. Before the measles vaccine, 3-4 million people each year came down with measles. 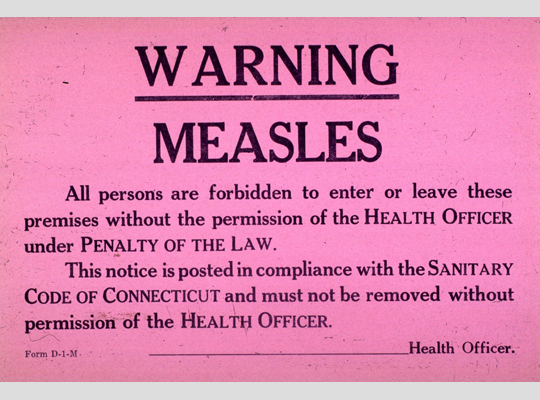 After the vaccine, measles was virtually eliminated in the United States. As recently as 2000, measles caused 1.1 million deaths worldwide. 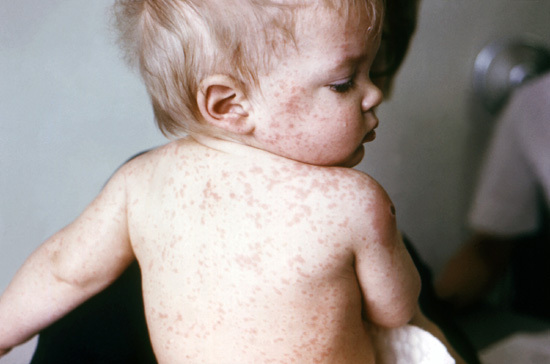 Measles is so contagious that anyone exposed to the disease who is not vaccinated is likely to get it. Before the vaccination, the only way to prevent the disease from spreading was through strict quarantine and isolation measures. In 1964-1965, before the development of a vaccine against Rubella, an epidemic hit the United States. There were 12.5 million cases of rubella. According to the Center for Disease Control (CDC) twenty thousand children were born with Congenital Rubella Syndrome (CRS): 11,000 were deaf, 3,500 blind, and 1,800 mentally retarded. There were 2,100 neonatal deaths and more than 11,000 abortions – some a spontaneous result of rubella infection in the mother, and others performed surgically after women were informed of the serious risks of rubella exposure during their pregnancy. As of 2004, Rubella was eliminated in the United States. I had a great uncle who survived polio and was paralyzed for life. People in the Western hemisphere don’t have to worry about polio anymore because of vaccinations. Many people are front and center talking about the science behind vaccines. The surgeon general has been emphasizing their importance and doctors and nurses do a great job talking to mothers about the importance of vaccinations. I simply think we should also talk about freedom because most of us believe freedom means something very different from Rand Paul’s “freedom”. You see, I believe freedom isn’t just about my consumer choices, it’s also about respecting and promoting the freedom of other people. We are most free when everyone acts positively to maximize the freedom of others. It’s why I believe in laws against assault and violence. It’s why I believe in protecting individual rights. It’s why I believe in consumer protection laws. It’s why I believe in traffic lights and stop signs (because they allow traffic to flow freely while limiting harm). It’s why I believe in breaking up monopolies. With measles in the news and Rand Paul talking about his belief in freedom, I found myself thinking that Paul’s definition is very limited. He really is talking about what I’d call consumer decisions. I believe in vaccinations because vaccinations provide greater freedom. They free us from diseases, diseases that we now think of as diseases of the past. But they only work if everyone pitches in and participates. They don’t work in a Rand Paul world where people can selfishly “choose” to do whatever they want without thinking of the impact on others. Vaccines worked because of government programs and education. There was a time when people wouldn’t have even thought twice about doing something so proven and trivial in order to ensure the well-being and freedom of everyone. Rand Paul’s definition of freedom as selfishly doing whatever you want without consideration for the freedom of others is not the freedom I believe in. Sometimes freedom isn’t just about you and what you want. It’s about everyone. 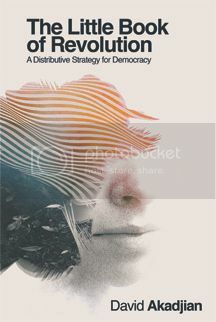 If Paul is going to redefine freedom as nothing more than consumer choice, one way to take back freedom is by talking about what freedom really means and what it takes to be free from disease. Markets and consumer choice didn’t free us from measles and rubella and diphtheria and polio. Vaccinating everyone gave us this freedom.